Happy Wednesday! We're officially halfway through another week. Thank goodness- I've been fighting a cold all week and could use some rest! I don't know about you, but whenever the weather starts changing I get congested and exhausted. It's no fun at all! 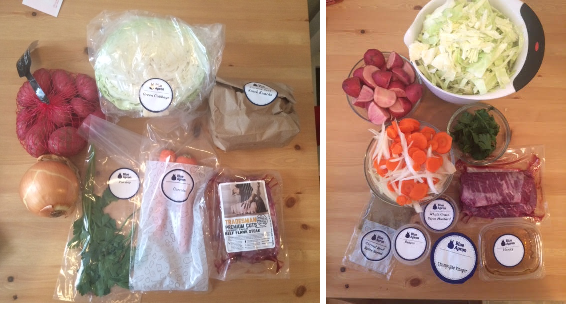 Today, I have a review of a service I recently tried: Blue Apron. This is a popular food subscription that I've seen recommended by countless bloggers. During my insanely busy week last month, I decided to give it a try so I would have food all week and not have to worry about stopping at the store! We offer two plans, with no commitment and no fees, so you can prepare delicious, inventive meals at home. We do the menu planning and shopping, and deliver recipes right to your door with all the fresh, perfectly portioned ingredients you need to cook them. All you have to do is cook and enjoy! We have no membership fee, and no minimum commitment. You can skip any week’s delivery in advance or cancel at any time. This service is awesome because all the ingredients come in a huge refrigerated box, already measured and portioned out, with three recipe cards that have extremely detailed directions. Each week, you're able to choose three meals out of the six offered, or skip the week. Once your meals are selected, you can select a day for the food to be delivered, and that's it! No need to stop at the store because EVERYTHING is included, except for essentials like oil, water, and salt/pepper. Really good and easy to make. The seasoning was delicious, and the produce all tasted really fresh. Dan gives it 10/10. I give it 8.5/10. Pretty basic dish, but provided lots of leftovers. Dan gives it 7/10. I give it 7/10. Taste is very authentic and it was really simple to make. I had lots of leftovers and took it for lunch the next day! Dan gives it 8.5/10. I give it 10/10. 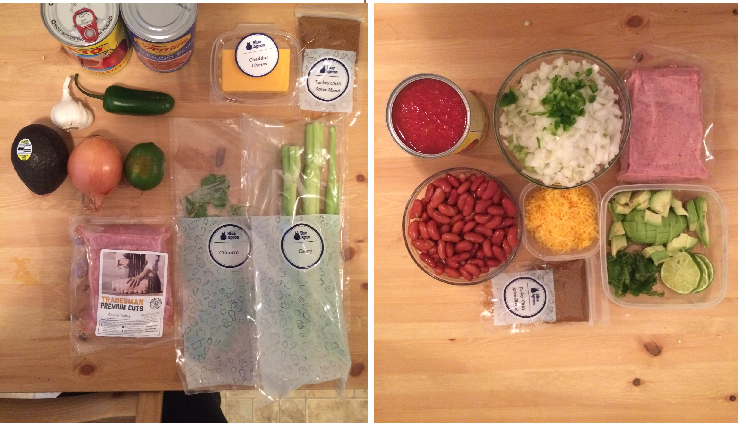 Overall, I had a great experience trying out Blue Apron. It was really convenient, a lot of fun, and the food was delicious! We got to sample three different types of cuisines, and didn't have to worry about tracking down specialty ingredients, like the tom yum paste. I'll definitely be trying this out again when we are going to have a busy week. It's a lot of fun and I would highly recommend it! Joining in the WIAW Linkup at Peas and Crayons and The Big Mans World! Have you ever tried a food service? What's your favorite food to cook? I got a free Blue Apron box from a friend and loved it. I then ordered a few boxes, but ended up skipping a lot of weeks and finally cancelling because I didn't think it was a good value for veggie meals. I definitely liked the concept, though, and I think if you regularly eat meat it's a much better deal! I'm dying to try Blue Apron - it seems like such a brilliant service. I always hate buying those ingredients that you only use once! This is such a great review. Thanks for sharing! I have saw commercials for this and I always thought about trying it. But I think it may get too pricey! The food looks great though!